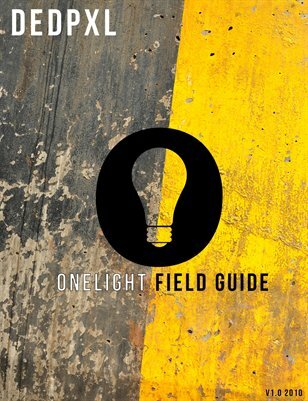 I've developed this field guide to complement the OneLight workshop and DVD. It isn’t meant to be a comprehensive knowledge base on the technical aspects of how to use, modify, and control flash. All of that information is covered in length in the workshop and on the DVD. This guide has been designed to be thrown into your camera bag so that you have a cookbook of scenarios that you may find yourself in. While looking through this book remember that light is light. It doesn’t matter if you are shooting a ten year old Vivitar, a new Nikon, a Canon, an Alienbee, or a Profoto. Light. Is. Light. Don’t freak out about what kind of light you have. Freak out about what kind of light you make.